As one of four states comprising the Federated States of Micronesia, Pohnpei is a volcanic, mountainous island with deep valleys and ridges that are covered by dense, tropical vegetation in the form of rain forests found in the interior. These upland forests consist of a mix of broadleaf, swamp, and dwarf forests and are home to an incredible amount of biodiversity with high levels of endemicity, making it one of the most diverse places in Micronesia. Of the 767 plant species that have been recorded on the island, 34% are native to the island's upland forests. 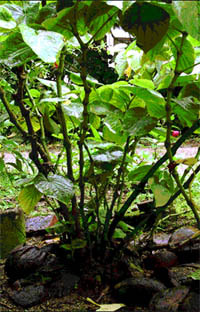 111 plant species are endemic to the island and 90% of these are found in upland forests. In addition, sixteen percent of the island's 50 bird species are endemic to the island. However, when surveyors attempted to mark the boundary of this reserve, communities (who had not been engaged in developing the legislation and utilized these areas for agro-forestry) turned them back. 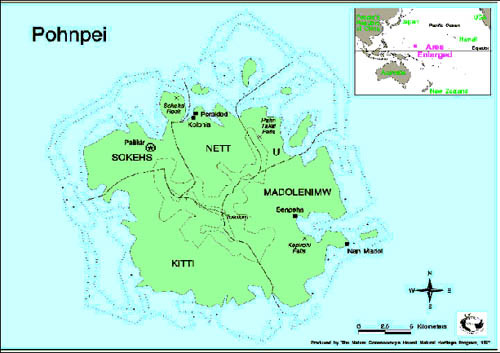 As a result, watershed management on Pohnpei evolved from a conflict situation between communities and the state government over establishment of a Watershed Forest Reserve and authority over management of the area. Today, management can be characterized by a collaborative approach in which all parties work to manage this threatened area. examining the current situation, particularly challenges facing management, and devising appropriate recommendations based on comparative collaborative and community-based case study analyses. The analysis concluded by identifying six key factors underlying effective, collaborative natural resource management. Analysis was based on literature review and field research in which over 40 interviews were conducted with community members, traditional leaders, state agencies, non-governmental organizations, U.S. federal agencies, municipal governments, and politicians. The results of this case study analysis provide clear lessons for the watershed management program as well as other programs and projects facing similar challenges and issues. The analysis is available in PDF Format . Click here to download the entire analysis in a complete document (note that this is a large file). All photos and maps have been provided courtesy of The Nature Conservancy.